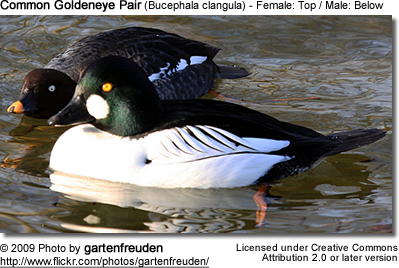 The Common Goldeneye (Bucephala clangula) is a medium sized sea duck of the genus Bucephala, the goldeneyes. 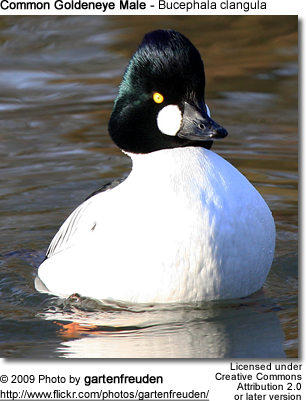 See also Barrow's Goldeneye. 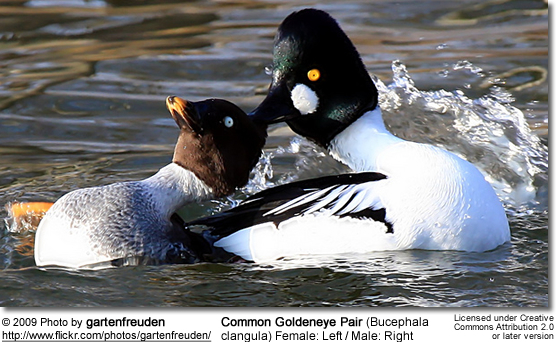 The name fits; this is the most common goldeneye. 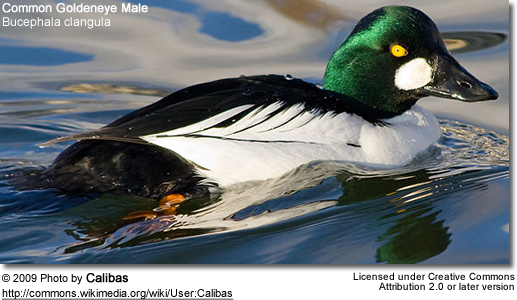 Adult males have a dark head with a greenish gloss and a circular white patch below the eye, a dark back and a white neck and belly. Adult females have a brown head and a mostly grey body. Their breeding habitat is forested lakes and rivers across Canada and the northern United States, Scandinavia and northern Russia. They nest in cavities in large trees. They will readily use nestboxes, and this has enabled a healthy breeding population and to establish in Scotland where they are increasing and slowly spreading with the help of nestboxes. They are usually quite common in winter around lakes of Britain and some are trying to be encouraged to nest in nestboxes which are put up to try and have them there all year round. 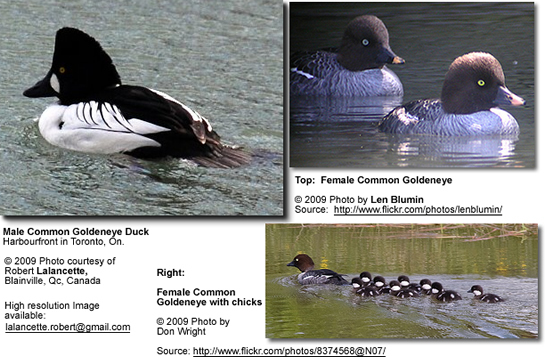 Instructions for building a nesting box for the Common Goldeneye. 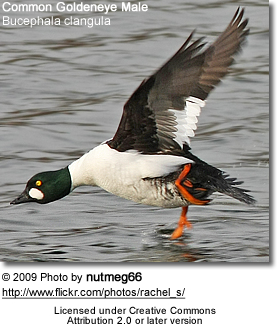 They are migratory and most winter in protected coastal waters or open inland waters at more temperate latitudes.